Where else can you blend imagination with nature and enable guests to celebrate, connect with and care for the natural world we share? At SeaWorld Orlando, you will encounter interactive and educational experiences with extraordinary fun! 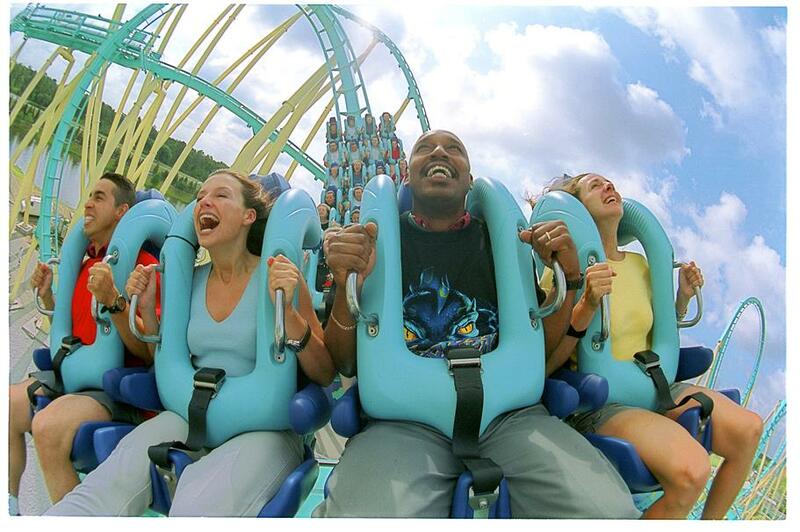 SeaWorld Orlando runs many promotions that can save you money. Check below for the latest SeaWorld Orlando discounts, coupons, and offers. If you need tickets to SeaWorld and other Orlando area attractions, it’s worth checking out the available multi-attraction ticket discounts to see if they can save you extra money. Be sure to compare the final cost of a multi-park pass to the combined cost of the individual tickets; the best deal varies depending on the specific attractions and the discounts that are currently available. Regular one-day admission is $102.24 for guests (ages 3 and up), tax included. Parking costs $20 for cars and motorcycles, RVs may be slightly more. Preferred parking available for $30. Annual Pass members receive complimentary general parking and may upgrade to preferred parking for $10. You can save a little money by purchasing your parking pass in advance online. –—- SESAME STREET opened March 27, 2019 at SeaWorld Orlando!!! 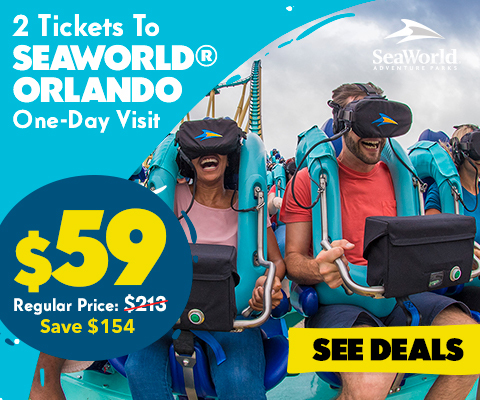 Be sure to check the SeaWorld Orlando website for current special offers. Save $20 on a 1-day admission ticket with 3-day advance purchase! 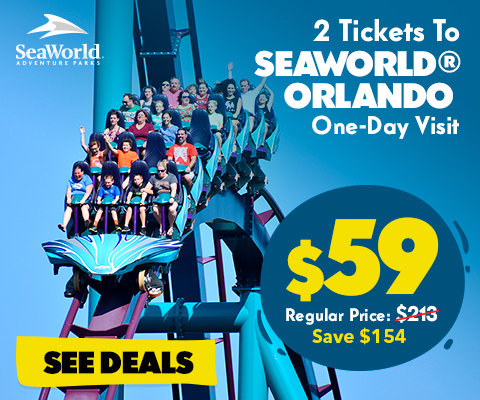 Get single day tickets to SeaWorld Orlando for $85.19 (tax included). 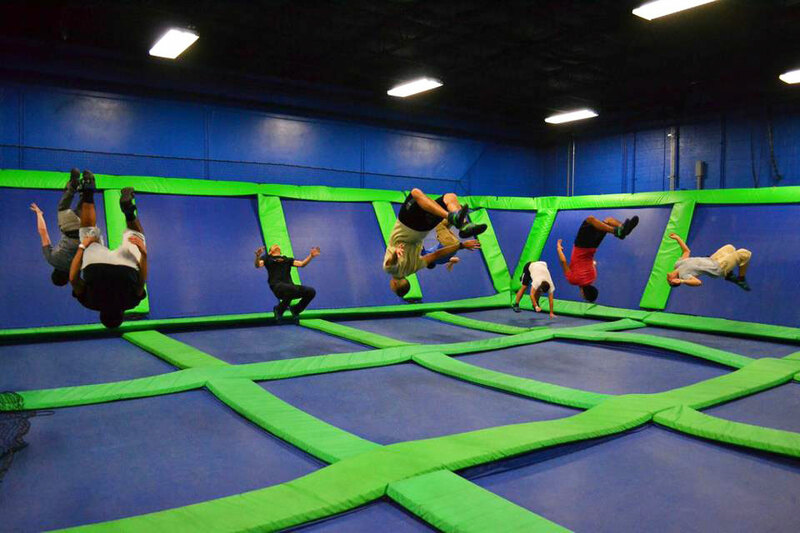 Tickets are valid for one-year from date of purchase and can be used during regular operating hours. Save $24.99 on 1-day admission ticket with All-Day Dining! Tickets must be purchased at least one day in advance. Cost is $117.14 per ticket (tax included). If you visit the SeaWorld Orlando (or Busch Gardens Tampa Bay) parks more than once a year, you may want to consider purchasing an annual pass. In addition to unlimited admission to SeaWorld Orlando for 1 year with or without blockout dates, annual passes include access to special events throughout the year as well as discounted or complimentary parking, discounts on food, beverages, merchandise and more. If you want to visit several parks over several days during one trip, your best bet is to purchase a 2-, 3- or 4-park ticket. Bronze – least expensive, includes some blockout dates, 50% off general parking, 10% off food and merchandise and discounts on: Quick Queue, tours and experiences, and Discovery Cove admission. This pass includes access to exclusive events and to the SeaWorld Pass Member Lounge. Prices start at $140.45 (tax included) for one park (SeaWorld). Costs increase $38.34 (tax included) for two parks and $63.90 (tax included) for four parks. Silver – includes no blockout dates, free general parking, 10% off food and merchandise, plus 1 FREE guest ticket (Discovery Cove excluded) and discounts on: Quick Queue, tours and experiences, preferred parking and Discovery Cove admission. This pass includes access to exclusive events and to the SeaWorld Pass Member Lounge. Prices start at $191.57 (tax included) for one park (SeaWorld). Costs increase $38.34 (tax included) for two parks and $63.90 (tax included) for four parks. Gold – includes most Silver benefits plus free preferred parking at SeaWorld and Busch Gardens (when available), 2 FREE guest tickets (Discovery Cove excluded), 50% off up to 6 guest tickets, 15% off food and merchandise, FREE Annual PhotoKey and 1 FREE Serengeti Safari at Busch Gardens or Dolphin Encounter at SeaWorld. Prices start at $229.91 (tax included) for one park (SeaWorld). Costs increase $38.34 (tax included) for two parks and $63.90 (tax included) for four parks. Platinum – In addition to Gold pass benefits, this pass gives you access to 11 SeaWorld and Busch Gardens parks nationwide (excluding Discovery Cove). Includes free general parking at all 11 parks, and free preferred parking at all Florida parks (when available). This pass also includes reserved seating at select shows in Florida parks, and ride-again privileges on select rides at SeaWorld and Busch Gardens. Price is $383.27 (tax included). 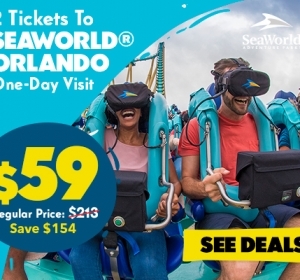 — Purchase your discounted SeaWorld Orlando tickets NOW! Publix supermarkets in Orlando carry discounted SeaWorld Orlando tickets. If you live near a Publix in Florida, be sure to check the gift card display for any current ticket offers. AAA members can save on SeaWorld Orlando admission when buying tickets online. Visit aaa.com/seaworld for details. Members of Auto Club South can get a discount on SeaWorld Orlando admission when purchased in advance either in person or online. Show your AAA card at the ticket booth and save $3 on single-day admission. Good for up to 6 people. Subject to change at any time. Members of the U.S. military (active duty military, active reservists, National Guard, Coast Guard) and as many as three direct dependents may enter SeaWorld, Busch Gardens or Sesame Place parks with complimentary admission. You must register in advance at www.wavesofhonor.com and complete a form, which you take with you to the theme park along with valid ID. Florida residents sometimes enjoy special discounts, which can be purchased on the SeaWorld Orlando website. When there are resident offers a filter for Resident Offers will show on the “Browse All Tickets” page. Resident ID is required at point of park entry. There is a Canadian website for SeaWorld that sometimes includes special offers for Canadian residents only. You can visit the site at seaworld.ca. If you have an American Express card that earns Membership Rewards points, you can redeem those points for SeaWorld Orlando tickets. You can redeem IHG Rewards Club points for SeaWorld Orlando tickets. See the IHG Rewards Club site for details. Thanks to Lori B for info. You can use Rapid Rewards points to purchase a single-day ticket on the Rapid Rewards site. Cost is 10,568 points for one single-day ticket. Readers report that Canadians can redeem Air Miles for SeaWorld Orlando tickets. Thanks to Dawn N for info. Florida teachers can get a FREE Florida Teacher Card that is good for unlimited visits to SeaWorld Orlando through 8/31/19. Parking and other discounts are not included. To be eligible you must have a valid Florida teaching certificate with a Department of Education number and be employed as a classroom teacher. You must pre-register online. If you plan to visit both SeaWorld Orlando and Busch Gardens Tampa Bay, or Aquatica, you can purchase special 2 Park tickets at a discount. 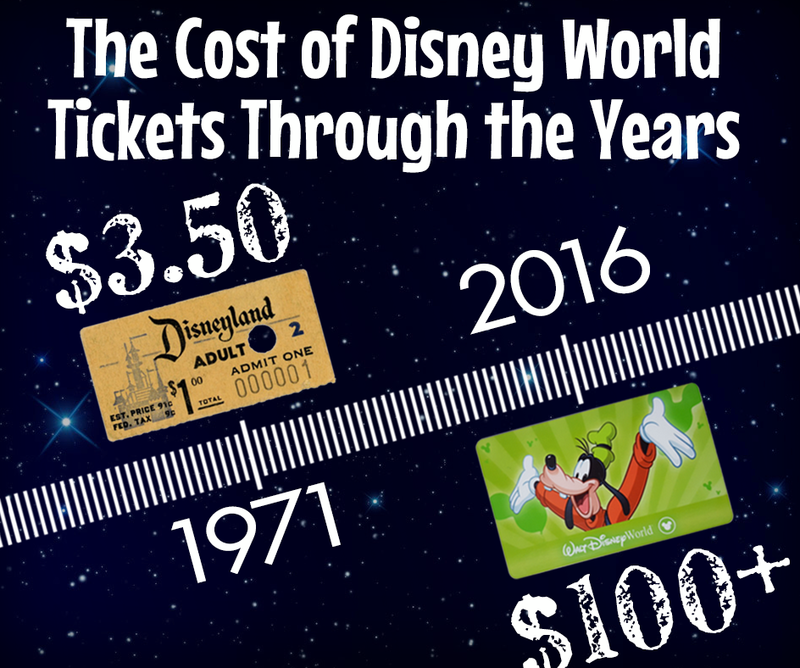 Regular price one-day admission at the gate for the two parks would be as much as $218.83 per adult or child (ages 3+), including tax. There is a $5.99 service fee for online orders. Save up to $70 on 2 Park Tickets with 3-day advance purchase price of $106.49 (tax included) per person. This ticket is available on the SeaWorld Orlando website. Valid for two visits to SeaWorld Orlando, Aquatica or Busch Gardens or Adventure Island in Tampa. This ticket gives you one single-day admission to any 2 parks of your choice and is valid one year from purchase. 2 Park Tickets are also available from HotelsCorp and may save you a couple dollars more. 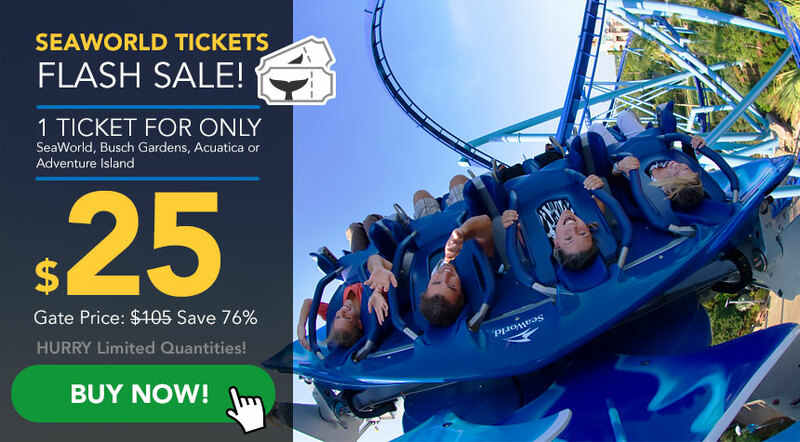 If you plan to visit SeaWorld Orlando, Aquatica and Busch Gardens Tampa Bay or Adventure Island, you can purchase a special 3 Park Ticket at a discount. Regular price one-day admission at the gate for the three parks would be as much as $272.07 per adult or child (ages 3+), including tax. There is a $5.99 service fee for online orders. Save up to $84 on 3 Park Tickets with 3-day advance purchase price of $127.79 (tax included) per person. This ticket is available on the SeaWorld Orlando website. Valid for three visits to SeaWorld Orlando, Aquatica or Busch Gardens or Adventure Island in Tampa. This ticket gives you one single-day admission to any 3 parks of your choice and is valid one year from purchase. 3 Park Tickets are also available from HotelsCorp and may save you a couple dollars more. Visit all four parks as many times as you want plus get free general parking! This ticket provides unlimited admission to the parks for 14 days from first use. 4-Park Unlimited Visits and Free Parking tickets are available with advance purchase for $181.04 (tax included) per person for SeaWorld, Aquatica, Busch Gardens and Adventure Island. This ticket can be found on the SeaWorld Orlando website. If you’re planning to visit SeaWorld, Legoland and the Kennedy Space Center, or want to explore a little more of Florida with visits to Cocoa Beach, Cape Canaveral, Miami and more, you may want to consider the Go Orlando Card or Go Select Orlando Pass. Cards include admission to 35+ attractions, extra discounts are frequently available. The Go Orlando Card includes admission to over 30 Florida attractions and comes in 2-, 3-, 5- and 7-day increments. Among the favorite included attractions are Legoland, Kennedy Space Center, Boggy Creek Airboat Tour, WonderWorks Orlando, Gatorland, Fun Spot America Theme Park, and the Ripley’s Believe it or Not Museum. Go Orlando Cards do not automatically include SeaWorld. 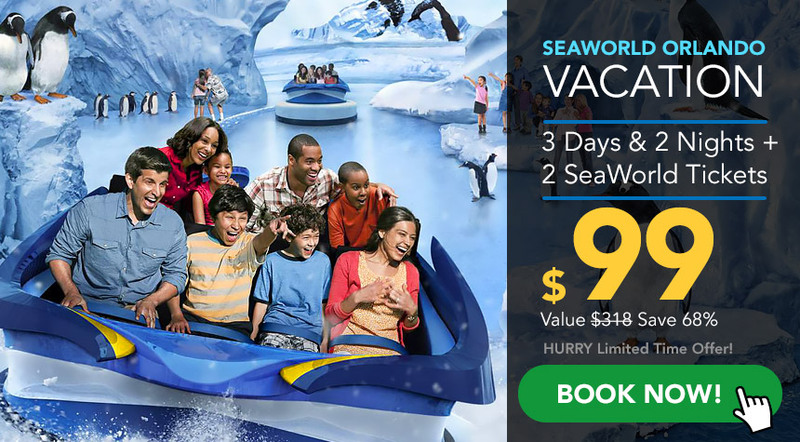 You can add a SeaWorld Any Day ticket at checkout for $84.14 (tax included) per person, but you may want to check SeaWorld deals separately as there are sometimes better discounts available. You can visit any or all of the included attractions and cards are valid for 14 days from first use; you can use your admissions anytime within the 14 day period. For example, if you activate a 2-day card on a Monday, your card will be good for that day and 1 more calendar day in the next two weeks to follow. You pay no sales tax when ordering online! 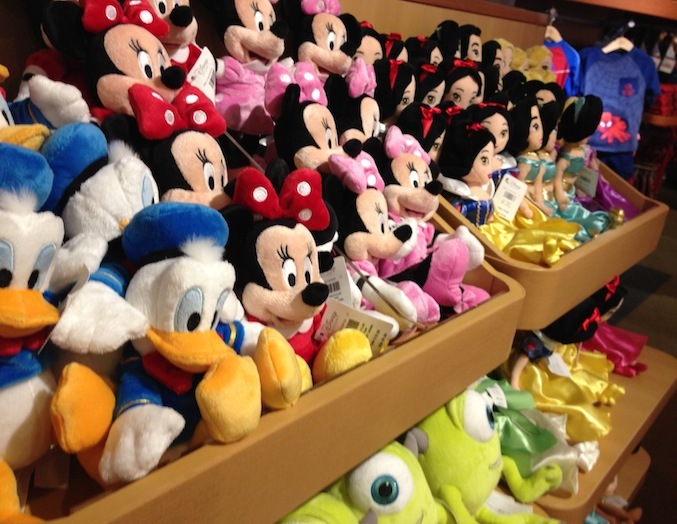 Passes are valid one year from date of purchase. The Go Orlando Card will probably save you money if you plan to visit multiple attractions, but be sure to check on regular prices and generally available discounts first. You may find it’s a better deal to purchase admissions separately, or to purchase a Go Select Orlando pass. The Go Select Orlando Pass allows you to build your own pass with only those attractions you want to visit and is good for 30 days from first use. You’ll save 20% off regular gate prices with purchase of two or more attractions. The Go Select Orlando Pass offers more than 40 different attractions to choose from, and includes the Kennedy Space Center, Legoland, SeaWorld, Busch Gardens and Aquatica as options. Compare both Go Orlando Card and Go Select Orlando Pass options to see which is right for you, and saves you the most. 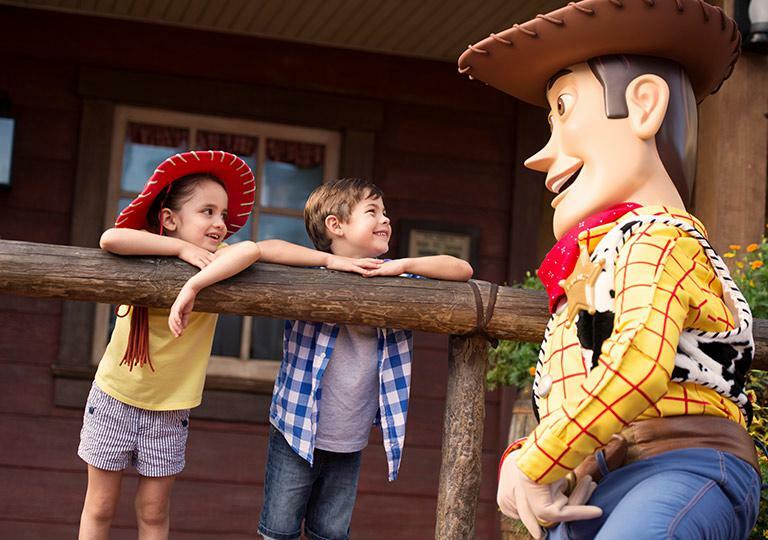 The brand new Orlando Explorer Pass gives you admission to any 3 or 5 attractions from a select list of popular attractions including: the Orlando Eye, Madame Tussauds, Gatorland, WonderWorks, a Boggy Creek Airboat Tour and more. You’ll save up to 35% off gate prices with both the 3 or 5 attraction pass plus you’ll receive a 3-day I-Ride Trolley pass for FREE with each pass purchased! Explorer Passes are good for 30 days from first use. They are super easy to use – just swipe your pass at designated ticketing areas at your chosen attractions. 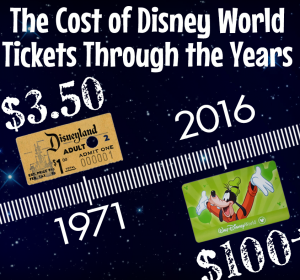 *You can save a lot of money by purchasing one of these special passes, compared with purchasing separate admission to each attraction at the ticket booth. In addition, you can use promo codes when available to get extra discounts on both Go Orlando Cards and Orlando Explorer Passes! Through 12/31/16, members of the U.S. military (active duty military, active reservists, National Guard, Coast Guard) and as many as three direct dependents may enter SeaWorld, Busch Gardens or Sesame Place parks with complimentary admission. You must register in advance at www.wavesofhonor.com and complete a form, which you take with you to the theme park along with valid ID. There is a Canadian website for SeaWorld that sometimes includes special offers for Canadian residents only. If you have an American Express card that earns Membership Rewards points, you can redeem those points for SeaWorld Orlando tickets. Click here for more info…American Express. You can redeem Hilton HHonors points for SeaWorld Orlando tickets. Click here to read about this award (choose country, then Gift Cards & Certificates/Entertainment). Click here to read more about HHonors. Florida teachers can get a FREE “Study Pass” that is good for unlimited visits to SeaWorld Orlando through the end of the calendar year. Parking and other discounts are not included. To be eligible you must have a valid Florida teaching certificate and be employed as a classroom teacher. To receive a Study Pass, present your Florida teaching certificate, a photo ID and a paycheck stub from the last 30 days at a ticket window.